Jessie Elaine Holmes, 72, of Fulton passed away on Saturday, November 24, 2018, after multiple battles with cancer. She was born in Fulton, Missouri on April 2, 1946, the daughter of the late Charles Lester “Sherlock” Holmes and the late Margaret Marie (Sheets) Holmes. Jessie was a 1964 graduate of Fulton High School. She was employed for many years at Fulton State Hospital as well as Missouri School for the Deaf. Her hobbies included crafting beads, baking cakes, especially Angel Food cakes, making peanut butter Rice Krispy treats for Andrew, and square dancing. She enjoyed watching crime and court shows, cooking programs, and Mizzou Tiger football and basketball, often calling Eric to find out what time the game was on and where she could find it. She was a long time member of Queen Council Rebecca Lodge until it closed. Jessie was a charter member of Queen Esther Rebecca Lodge #868. She was also a member of Callaway Odd Fellow Lodge #105. At the time she passed, she was Nobel Grand of both Lodges. She was also a member of the Fulton Lions and Fulton Evening Optimist. 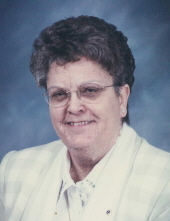 Jessie was a life-long member of Fulton First Christian Church where she was a Sunday School teacher, bell and chancel choir participant, and actively involved in Wednesday evening Kingdom Kids. She is survived by a son, Eric Keith Holmes and his wife Terri (Threlkeld) Holmes of Fulton; granddaughter, Katherine Lee Holmes and her fiancé, Joseph David Jordon of Fulton; grandson Andrew James Holmes of Fulton; and sister-in-law, Carol Owen and her husband Bill Owen of Fulton. Jessie was preceded in death by her parents; brothers, Charles Everett Holmes and Jerry Edwin Holmes; and infant sister, Ruby Ann Holmes. Funeral services will be held at 10:00 a.m. on Thursday, November 29, 2018 at First Christian Church in Fulton with Reverend Mindy Kiepe officiating. Friends will be received from 5:00 p.m. until 7:00 p.m. on Wednesday, November 28, 2018, at Maupin Funeral Home in Fulton. Interment will be in Callaway Memorial Gardens. Memorial donations are suggested to First Christian Church Kingdom Kids, c/o Maupin Funeral Home, 301 Douglas Boulevard, Fulton, MO 65251. To send flowers or a remembrance gift to the family of Jessie Elaine Holmes, please visit our Tribute Store. "Email Address" would like to share the life celebration of Jessie Elaine Holmes. Click on the "link" to go to share a favorite memory or leave a condolence message for the family.